What secret is hidden in the legendary never-before-seen pokémon Zygarde? What is the mysterious phenomenon that occurs only with Satoshi's (Ash's) Gekkouga (Greninja)? What is the aim of Alain and Team Flare, who stands in the way of Satoshi and his friends? 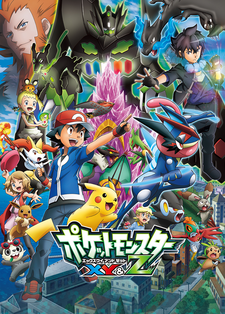 When all the mysteries are revealed, the greatest danger the Kalos region has ever seen will appear!